Luxurious 3 bedroom, 2 bathroom condo, 1746 square feet with a colossal balcony. This brand new condo has 2 queen size beds, 1 full size bed, and 1 queen size pull out sofa. It includes hi-def televisions in master bedroom as well as the living room. Great for large families or groups. Our gated community, with 24 hr security, is just steps away from the Atlantic Ocean seashore. This property has every amenity you could dream of, two fabulous clubhouses, exercise facilities, shuffle board, ping pong table, sauna, two heated pools, and Jacuzzi. Other amenities include putting green, tennis & basketball courts, and a 2 mile nature walk. 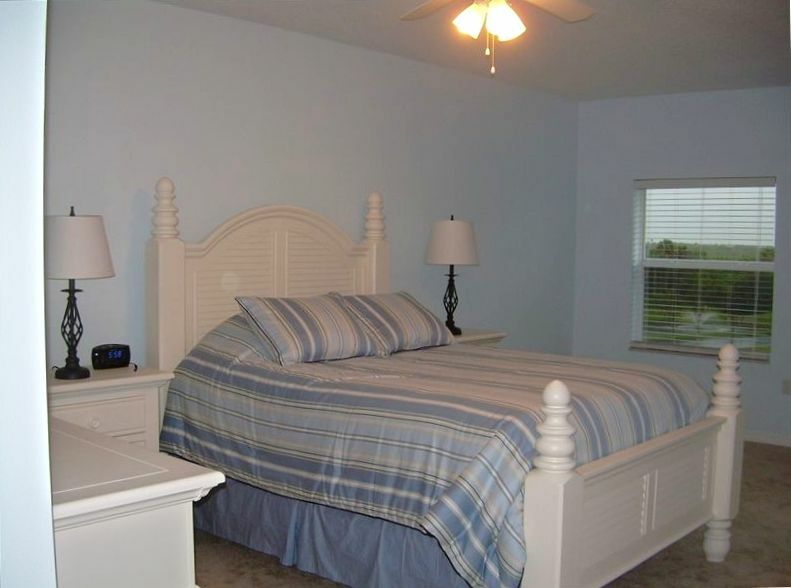 New Smyrna Beach is conveniently located within 20 minutes from Daytona Beach & the International Speedway, 45 minutes from Cape Canerval, and 75 minutes from all Orlando attractions such as Disney World, Epcot Center, Sea World, and Universal Studios. Thirty miles from Sanford FL airport. hundreds of movies available at recreation room. to fix a great Thanksgiving Dinner. The location was great. And hope to return soon and will request This condo. The condo is beautiful, well equipped, and relaxing! Loved it! The condo was beautiful and perfectly situated from the beach, the pools, etc. complex was quiet, people were friendly, and Nick was extremely helpful in getting checked in settled. Highly recommend this unit to everyone! My family has stayed in this condo two years in a row and we have enjoyed it both times. The owner is very nice and answers any questions you may have. The condo is stocked with all th pots and pans you may need as well as towels. The location is the most ideal. You are in the middle of the complex between both pools and a short walk to the beach. Look forward to booking next summer. Great location. Lots of space. Great beds. Short walk to beach. Will come again. Thanks to owners for sharing. Property and condominium were well kept. Really enjoyed pond and fountain view from condo balcony. Pools were nice and clean. Condo was very spacious and clean. They condo is great! Great family oriented. Pools are very nice.